They both represent just a beautiful dream.
" ... watch the beautiful sunrise and sunset along the shore". Jaime Villegas on 7 February 2016 questions this and says "How can there be sunrise and sunset on the same seashore? That is west side, unless you have other sun." The top photo taken in the location of X-Divers resort proves the conjecture of Jamie Villegas. It is the fabulous morning sunrise made possible by extra-strong gravitational waves from a parallel universe, temporarily projecting a second sun for X-Divers Resort. I understand that the famous Russian mathematician, Dr. Grigori Perelman, may be working on a fifth amendment to Einstein's Theory of Relativity, to show how this is possible. 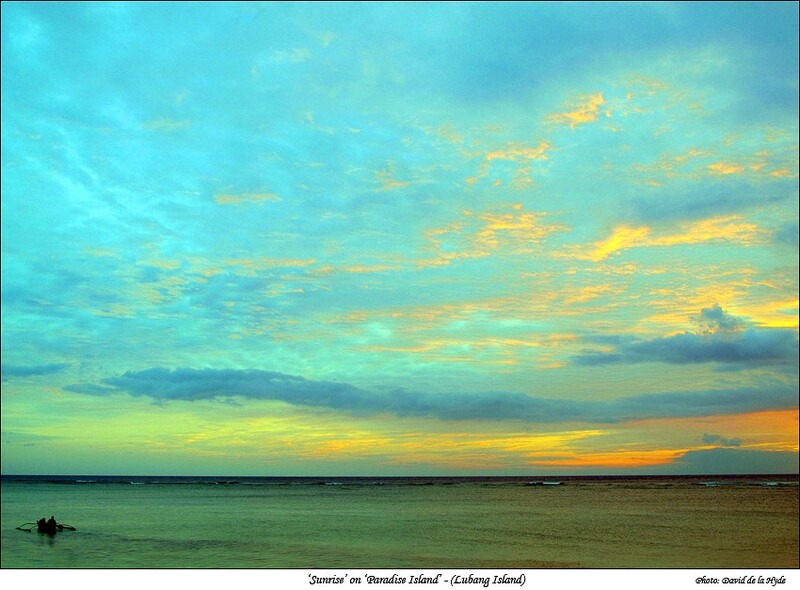 LUBANG ISLAND - 'PARADISE ISLAND'? 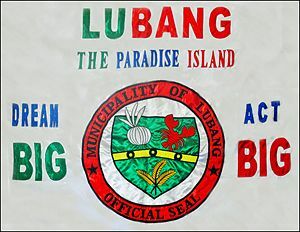 At present Lubang is being actively promoted as ‘Paradise Island’. In my humble opinion, taking the perspective of a typical tourist, this is misleading and a mistake. This leads to false expectations on the part of tourists. 1. Bali has a well maintained network of roads over which tourists can drive hired vehicles. 3. The standard of accommodation available is generally not up to what one expects in Bali. 4. The experience of shopping is vastly different – for instance there are no modern supermarkets. 5. In Bali there is a good choice of clean and attractive restaurants with a variety of menus. 6. Not strictly relevant, but there is an interesting Hindu culture in Bali, together with the attractive architecture of temples and shrines. 7. So far I am not aware of any good swimming/surfing beaches in Lubang similar to that of Kuta in Bali. Lubang Island may be more like a Paradise Island to tourists, in many decades to come, but in my opinion it is nowhere near that stage of development at present. 1. Lubang appeals to the more enterprising traveller who is prepared to travel in oldish Jeepneys, or on a motorcycle, at relatively slow speeds on the generally rough roads. 2. 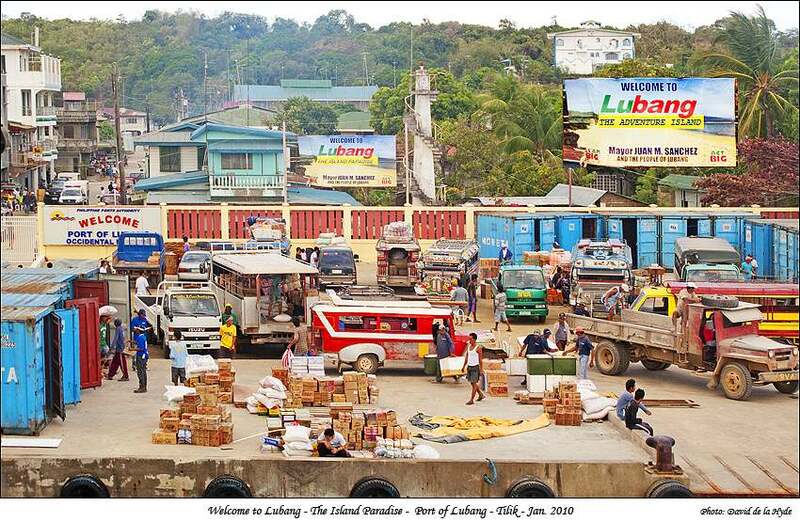 There are many beautiful and interesting bays and small fishing settlements scattered on the coast of the four major Islands (Lubang, Cabra, Ambil and Golo) to visit. 3. Travelling to attractive coastal locations can be done using small motorised bancas. Very different to using a large tourist launch! 3. In 2010 a large marine reserve was established, and in the future there could be developed scuba diving and snorkeling excursions to suitable locations within the reserve. Apparently a Spanish Galleon carrying a treasure chest (mythological treasure?) was wrecked near Binacas, so there could be Archaeologically-Based treasure hunts organised. 4. The Japanese soldier, Hiroo Onada, who surrendered 30 years after WW2 ended had an established route along the Island and this has been named Onada’s Trial. In 2010 the overgrown sections were cleared, guides trained, and it is now possible to conduct hiking trips along the trial when required by tourists. 5. Adventure tours and Eco-tours would appear to be the optimum form to introduce the more adventurous tourists to Lubang Island. This seems to be in line with the recently approved Lubang Tourism Development Plans prepared by Bluewater Consultants - of which I have seen references to on the Internet.